It feels like one day you are rocking your new, sweet baby and once you finally get them settled and get to sleep yourself -you wake up and BOOM they are going to Kindergarten. We hear it daily this time of year in our halls, “Slow time down! !” You have so many emotions swirling inside of your brain and heart: pride, fear, excitement, protectiveness and sadness are just the beginning. Imagine what your child is feeling. They are typically not as good as we are at expressing their feelings. In the article below from NAEYC you will find some tips on making this transition as fun and exciting as it should be. *Place a sticker or make a mark on each day of the calendar every day during the last month of school. *Encourage children to talk about their feelings about preschool ending; talk about your feelings too. *Draw pictures and/or write good-bye messages for your child’s friends or teachers. *Revisit the events of the past year with your child by looking at drawings, paintings, photos, and writing. 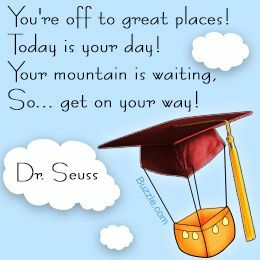 *Celebrate how much your child has learned this year. 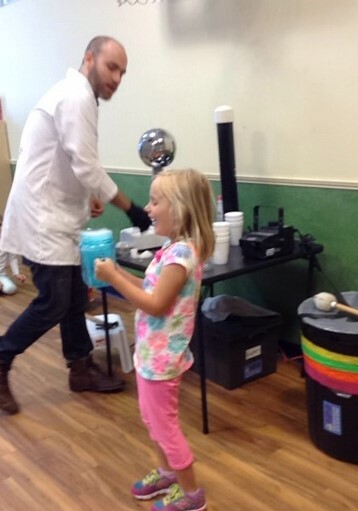 *Offer stress-reducing activities at home such as water play, puppets, or playdough. *Help the class plan an end-of-the-year family potluck. *Plan ways to keep in touch with classmates or organize a regular play group. *Visit the new school before your child’s first day. Point out ways the room is similar to his preschool room, but also discuss how it holds new materials to explore. *Plan playdates with new classmates. *Read books about starting school, such as Look Out, Kindergarten, Here I Come! by Nancy Carlson. *Describe the daily routines, including arrival, breakfast, snack, lunch, and bathroom practices. *After your child is well settled into kindergarten, plan playdates with old friends. 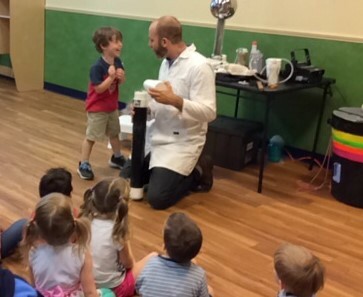 This past week, we had a visit from Haz-Matt, one of Mr. Bond’s Science Guys. 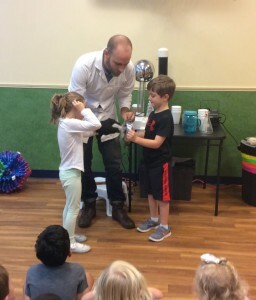 He brought Science to life and made it fun for our kiddos! 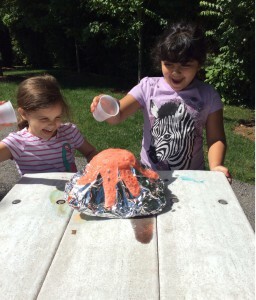 Check out the photos at the end of this blog from Haz-Matt’s visit and a few of our kiddos making a volcano erupt. 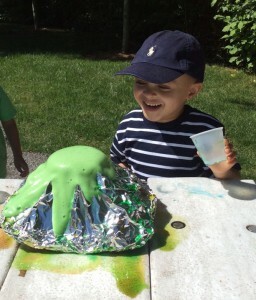 Below is a wonderful article on how fun and simple science can be for little ones. It is taken from education.com and was written by Traci Geiser. 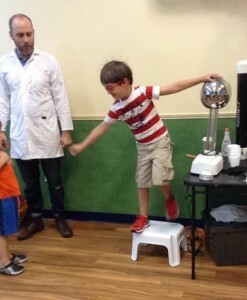 When parents think of scientific learning, they probably think of the chemistry experiments and biology textbooks that characterize science class in elementary school and above. 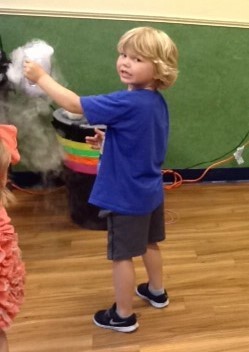 But preschoolers are already actively engaged in scientific learning, both inside the classroom and out. As they ask questions and seek answers to their “how” and “why” questions, they are beginning to practice scientific investigation. You can foster your child’s curiosity about science by engaging in conversations, reading books and simply observing the world around you! Preschoolers’ natural curiosity makes exploring science together a blast. How can parents help? Try a few of these fun and simple ways to engage your child in science learning. 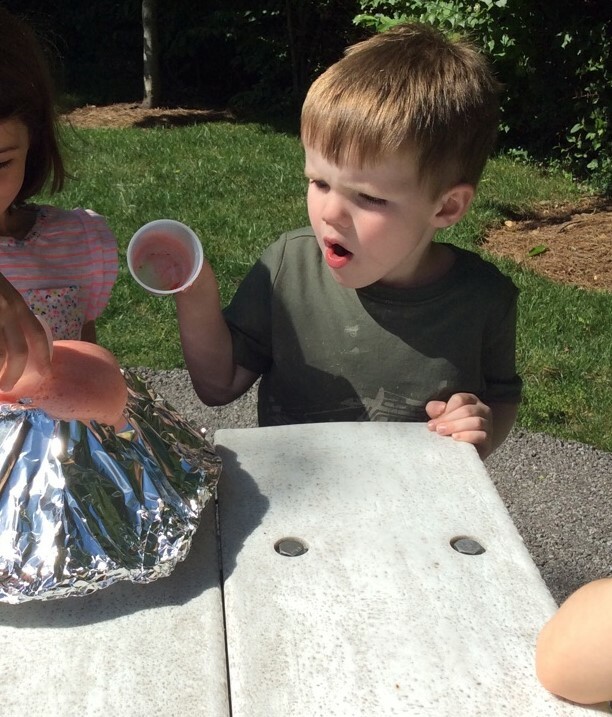 As you make observations about nature, start conversations with your preschooler. 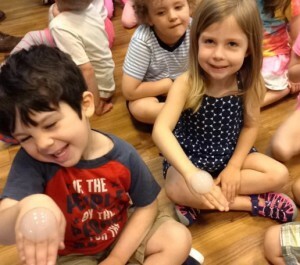 Simply discussing what you observe, hypothesizing about what you think might happen, and categorizing different objects and occurrences will give your child important insights about science. 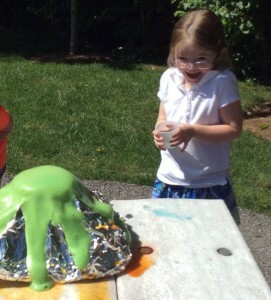 Hypothesize: Give your child the opportunity to make guesses about what she thinks might happen. Ask your child what color she thinks will be created when you mix blue and yellow together and then let her try by adding food color to water or finger painting. 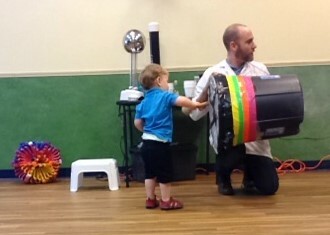 Engage in a little physics by rolling cars down a wooden plank or balls through a wrapping paper tube. Ask your child to guess which angle will make the car or ball go faster or farther. Fill a large container with water and gather a bunch of small items from around the house. Have your child make guesses about which will sink and which will float and then test her theory. You might be surprised by some of the results. Categorize: Help your child understand the order of nature by observing the categories animals and food fall into. Take notice of which foods are vegetables and vegetables. You can also categorize other foods from your dinner plate such as dairy, grains, and protein. Talk about different types of animals and see what you can learn about them by checking out books in your library. Follow your child’s interest: if she loves frogs, find a book about amphibians, or treat your little bug hunter to a few books about the characteristics insects share. Other interesting categories might include nocturnal animals, reptiles, fish, and mammals. What seems obvious to you may be a scientific breakthrough for your child. As you go through the day, observe out loud all the wonders of nature. Point out Plants. Take a nature walk and observe the plants you find. Notice the buds on the trees in spring, the falling leaves in the fall and how the grass turns brown in the winter. Go on the Internet to learn more by doing a search for any questions your child has. Investigate Insects. Get a magnifying glass and take a closer look at the creepy crawlies in your yard. Children are fascinated by bugs and will enjoy taking a closer look. Take notice of which bugs have wings or antennas or how many legs they have. Check out a few books at the library to take your investigation even further. Analyze Animals. While visiting the zoo or farm, notice special characteristics animals have. Can you see how a rhinoceros and hippopotamus are the same and different? Which animals have sharp teeth and claws? How does the giraffe use his long neck and the elephants use his long nose? What do they eat? Where do they live? What are their babies called? Ask a zoo keeper or farmer to answer any questions you may have. Take a trip to your local library where a wealth of information can be found on any science topic of interest to your child. Be sure to check out the non-fiction book section, which will have many books with photographs rather than illustrations. These gems also contain charts, graphs, and everything your child could want to know about various science topics. The author Gail Gibbons writes wonderful picture books on a variety of science topics. Check out The Reason for Seasons, From Seed to Plant, Recycle! or any of her other books for great science reading. Eric Carle books are wonderful resources for learning about bugs. Take a look at The Very Hungry Caterpillar, The Grouchy Ladybug and The Very Quiet Cricket for a jumpstart to learning about bugs. 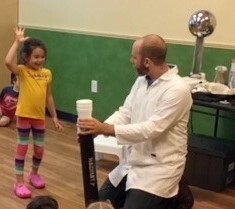 Science is quite simple for young children. Help your child learn about her world through conversations, observations and investigations. 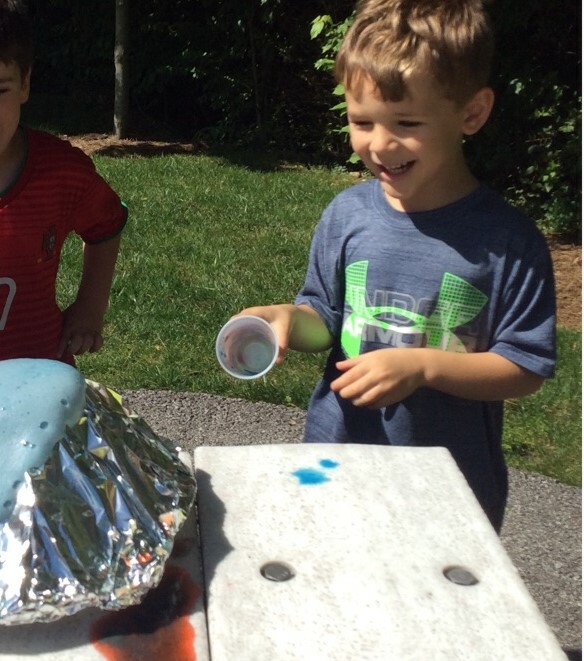 These simple activities will help build the foundations for your child’s future scientific endeavors! Posted in Uncategorized | Comments Off on Science is FUN! !